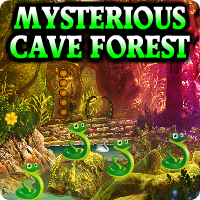 AvmGames - Avm Escape Mysterious Cave Forest is another point and click escape game developed by Avm Games. People say that this cave contains a lot of mysteries. This just makes it more appealing and interesting for you. Because now, you don't have to go through the cave just like before. You now have something to do while you are inside and that is to solve all the mysteries. Feels like this is an additional adventure to your trip which makes your hike double the fun. But if you think that this cave is just all about fun, you are wrong. The mysteries inside the cave are the big deal. Not only the mysteries, there are also a lot of puzzles that you have to solve inside the cave. You have to take this seriously because those puzzles are the only way to escape from this mysterious cave. Good luck and have fun! monkeys rat flower and clue paper..
leroy, have you used G1, R2-clue? Thanks Hotz, was overthinking the order of those s6 colors. color slider in s7 was trial and error for me (3 balls left and right, 2 ball top and bottom). Color/number shapes clue paper used in s5, still have in inventory. sugar, use it in S2 too. yeah messing with green spot grid.. Trying to figure out how you know you got those shapes right in s2. Does it just go away and you do the next one? Did the big triangle, then bisected it across the middle and it worked! Hotz, color slider in s7 with balls was from the clue paper with 4 colors and arrows. Green pink blue red. Good game, thanks AVM. Thanks for help here too.